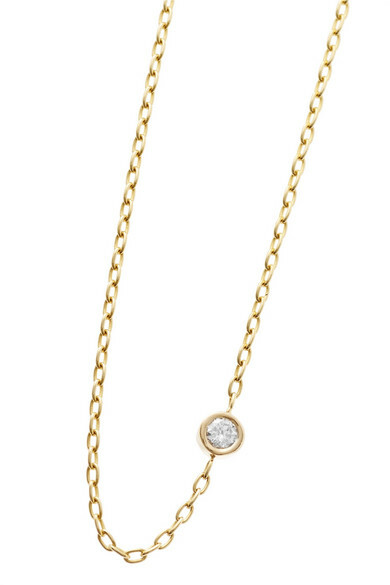 STONE AND STRAND's jewelry is all designed in-house at the brand's studio. 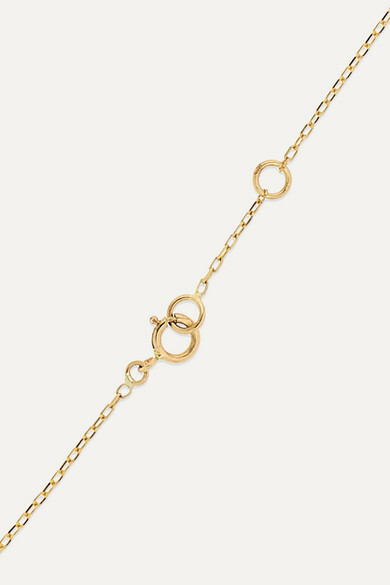 Part of the new collection, this bracelet is handmade from 14-karat gold and features a round 0.05-carat diamond. Contrast the daintiness with a chunky watch. Shown here with: Nanushka Dress, STONE AND STRAND Bracelet, STONE AND STRAND Necklace, STONE AND STRAND Ring.